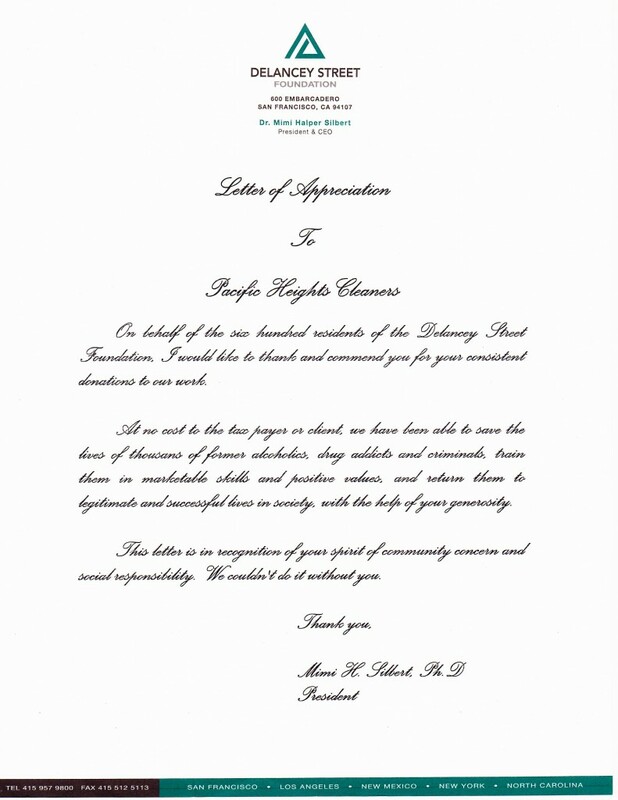 We at Pacific Heights Cleaners are proud of the Delancy Street Foundation for the commitment they provide to our community. Thanky you for all you do. to Remove a Marinara Sauce Stain. to Remove Cranberry Juice Stains.